Still looking for a perfect place to spend quality time with family or friends this summer? Then, we recommend Lake Agco in Kidapawan City. Situated at the foot of Mt. Apo, the country's highest mountain, Lake Agco is one of SOX (SOCCSKSARGEN) Region's most visited attractions. The place is known for having cool weather making it a perfect destination this summer and the boiling lake which is said to be one of Mt. Apo's volcanic vents. Hot and cold springs, waterfalls and diverse flora and fauna are also present around Lake Agco. Added attraction in Lake Agco are the sulfuric mud which are believed to have therapeutic effects when applied on face and body. We visited the place last weekend and enjoyed the Lake Agco Mud Craze which is part of this year's Apo Sandawa Climb Festival. In her speech, DOT-12 Regional Director emphasized the importance of preserving the culture of the people as well as taking care of nature as tourists continue to flock in the area. In 2015, tourist arrivals in Kidapawan City reached more than 100,000 majority visited Mt. Apo and Lake Agco. In Photo: Tribal leaders in Brgy. Ilomavis, Kidapawan City with DOT-12 Regional Director Nelly Nita Dillera and City Tourism Officer Joey Recimilla during the launching of Apo Sandawa Climb Festival 2016. 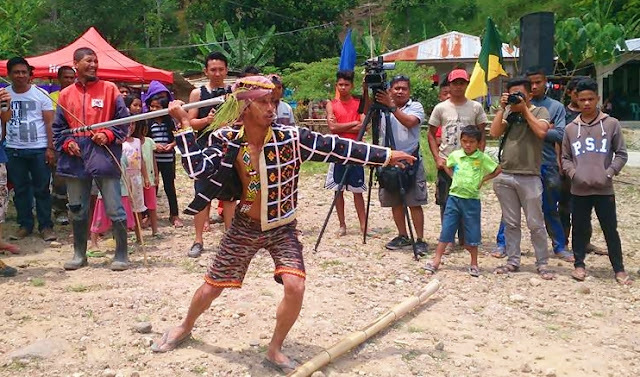 Other activities included in this year's Apo Sandawa Climb Festival were traditional games like kadang, bangkaw and pana competitions. 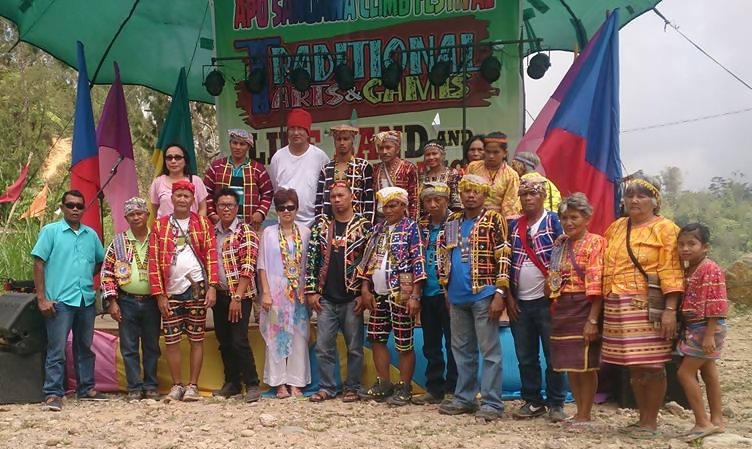 Members of the Manobo tribe in the area also actively participated in showcasing their dances and music during the celebration. Kidapawan City is 2 to 3 hours away from Davao City by public bus or van. The same is expected if you’re coming from General Santos City or Cotabato City area. Habal-habal (single motorcycle) terminal bound to Lake Agco is located beside the Iglesia ni Cristo church in Ilomavis Road. Fare is at Php250 per trip (maximum 3 passengers). Travel time is at around 40 minutes. Mahomanoy Mountain Resort in Sitio Agco and Climber's Den Resort in Sitio Mandarangan has rooms with affordable rates for those who wants to stay overnight.